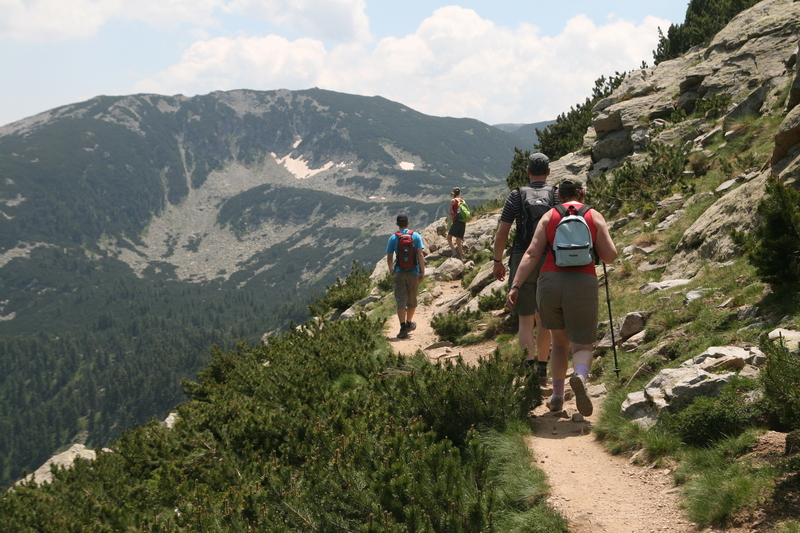 Pirin Mountains, stationery tour (5 days) Guided multiday hiking tour Day 1: Arrival transfer from Sofia airport to Bansko Day 2: Banderishki Lakes Day 3: Polezhan summit Day 4: Vihran Summit Day 5: Departure transfer from Bansko to Sofia city/Sofia airport Group size: Min. 2 persons Price includes:�transfers to and from Sofia Airport (on first/last tour date only) and all other transfers in the itinerary; accommodation and catering as in the itinerary; English-speaking mountain guide; chair lift tickets and all local taxes. Price does not include:�extra food and drink; mountain maps; medical insurance; entry fees and personal expenses. Notes: all treks are tailored in terms of difficulty to individual groups; overall, the terrain means they are rather arduous. The itinerary offers opportunities for extensions involving additional overnight stays at Bansko or Sofia to allow day trips to the Rila Monastery, Plovdiv, Koprivshtitsa, the Rozhen Monastery, Melnik, etc.